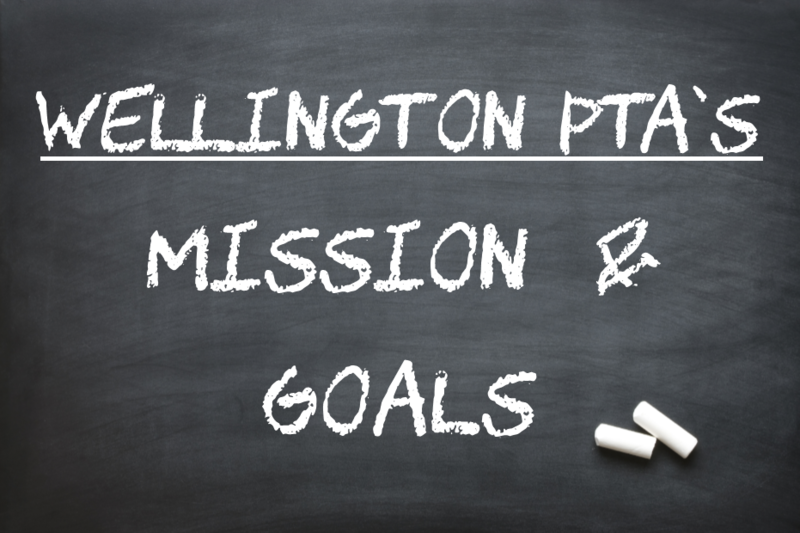 It is the mission of Wellington Elementary PTA to promote the welfare of children, provide staff support, foster teacher, parent & community cooperation, and enrich student learning. To improve information sharing with concise monthly newsletter, enhanced website with up to date content, & e-mail News Blasts to membership. To have 100% membership. One adult member for every student in our school. To foster a sense of community and family involvement. To enhance student learning with enrichment programs. To engage in necessary fundraising to finance enrichment programs, parent education, and other enhancements grants approved by our board of directors as meeting our mission and goal. To be a financially stable, well-managed organization that promotes diversity, provides quality service, models best practices and values its members.